A small offset crater in the nearside highlands. 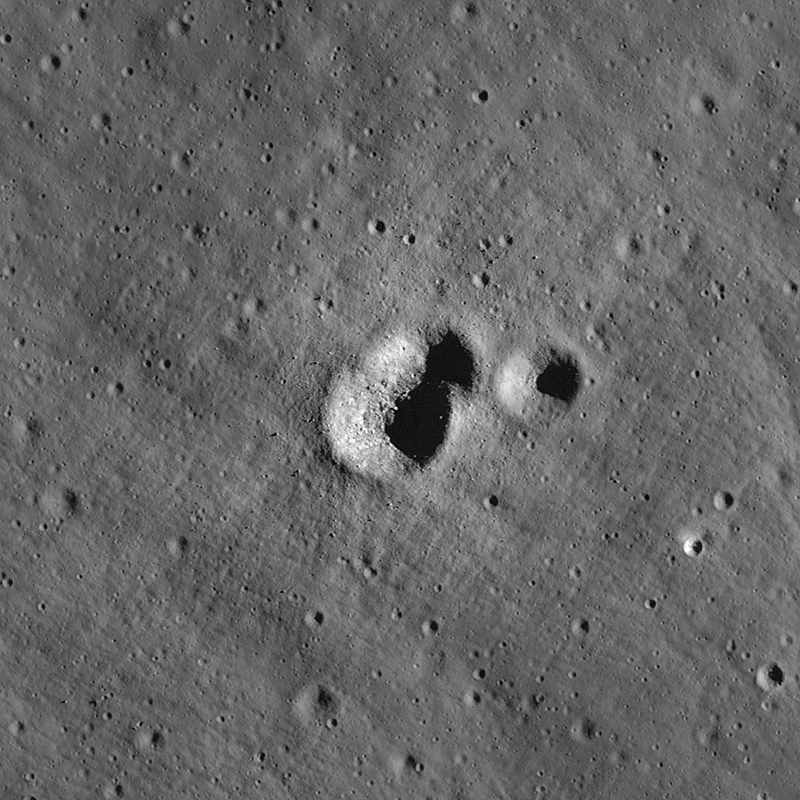 Image is 590 m across, LROC NAC frame M177562995R [NASA/GSFC/Arizona State University]. 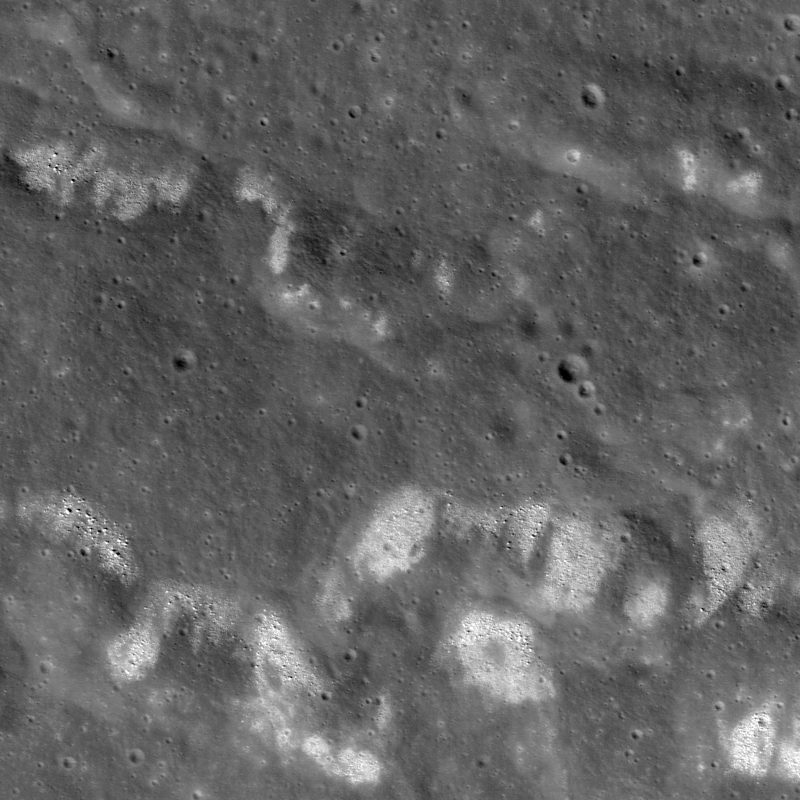 A wrinkle ridge in western Mare Serenitatis is littered with boulders and high-albedo (bright) areas. 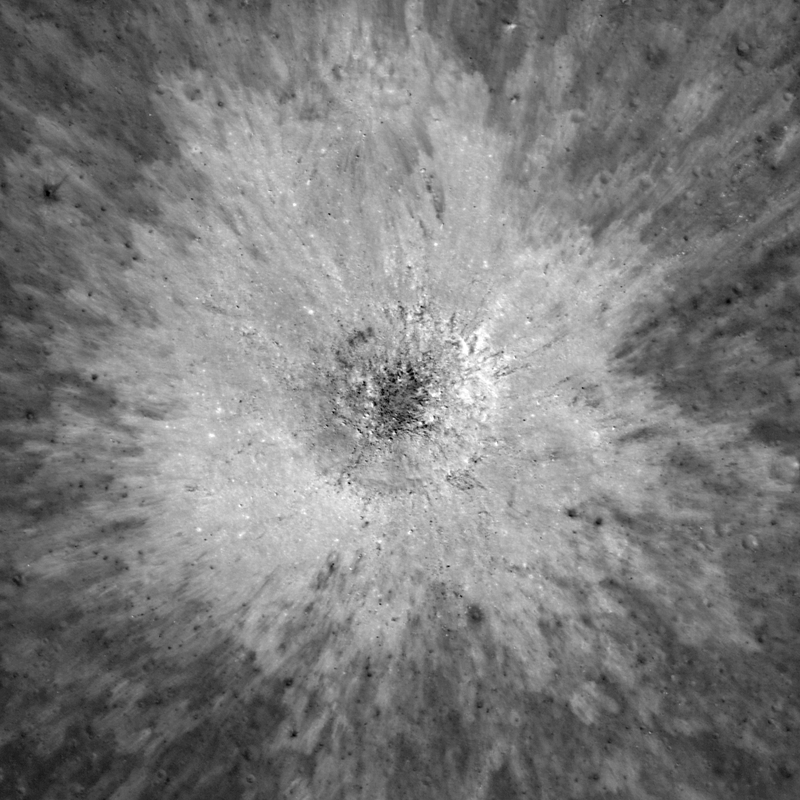 Image is ~1.5 km across, NAC M106826896L [NASA/GSFC/Arizona State University].